Are you in the market for your next full-size SUV? If so, you will want to consider fuel economy, safety, and comfortability when you’re driving and carrying others with you. Once you start to build your list of possible options, you’ll realize there are quite a few. Our team at Andy Mohr Toyota has created this quick comparison of the 2018 Toyota Highlander and the 2018 Ford Explorer to help shoppers in the Avon, Indianapolis, and Plainfield areas determine the best option for them. On the other hand, the Explorer comes standard with a 3.5L V6 paired with a 6-speed automatic transmission. This powertrain configuration only generates an EPA-estimated 17 MPG city and 24 MPG highway. The Explorer doesn’t offer a hybrid option for those who place fuel economy among their priorities. When it comes to your family and friends, a comprehensive set of active and passive safety features are paramount. 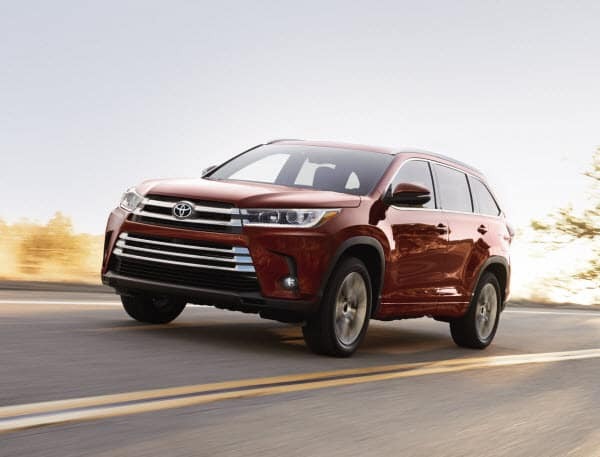 The 2018 Toyota Highlander safety package received a 5-Star Overall Safety Rating from the National Highway Traffic Safety Administration (NHTSA) and was named an IIHS (Insurance Institute for Highway Safety) 2018 TOP SAFETY PICK. The Highlander earned these distinctions with help from the standard Toyota Safety Sense™ P.
Some of the features included in this suite are the Pre-Collision System with Pedestrian Detection and Lane Departure Alert with Steering Assist. The Pre-Collision System with Pedestrian Detection can help avoid or reduce frontal collisions by using a set of frontal monitors that detect when you’re approaching a car too quickly, which can activate the front automated emergency brake. Lane Departure Alert with Steering Assist scans the lane markers and provides visual and audible alerts if you drift out of your lane. It’ll also engage a slight steering force to guide you back into the correct lane should you unintentionally drift, helping to keep you and your passengers safe. While last year’s model of the Ford Explorer did earn a 5-Star Overall Safety Rating from the NHTSA, all its safety features are optional and not standard. 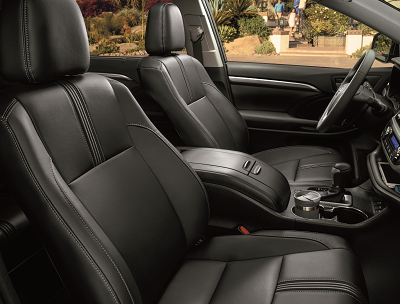 Due to this, you’ll end up paying out of pocket for all the safety features that come standard on the Highlander. If you value fuel economy and peace of mind as far as safety features are concerned, the Toyota Highlander may be the best choice for you. If you’re local to the Avon, Indianapolis, or Plainfield areas and would like to get behind the wheel of one, stop by our Andy Mohr Toyota showroom.